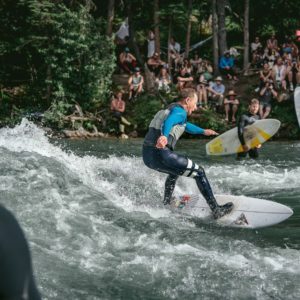 Taking place at Kelly’s Whitewater Park in Idaho, the Payette River Games(PRGs) is an event battle ground for paddlers and surfers alike. 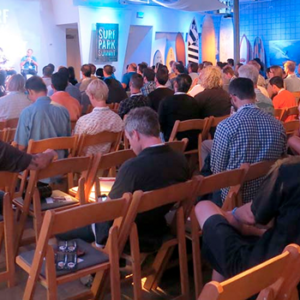 The PRGs are known for the “World’s Richest Prize Purse” for stand up paddling ($50,000). 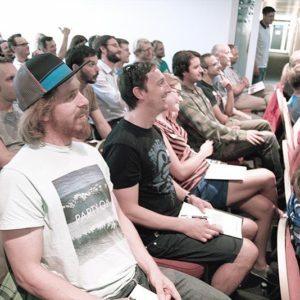 In 2014 event organizers Mark and Kristina Pickard added river surfing to the roster and flew in athletes from Germany. Possibly the largest gathering of international river surfing athletes up to that time. 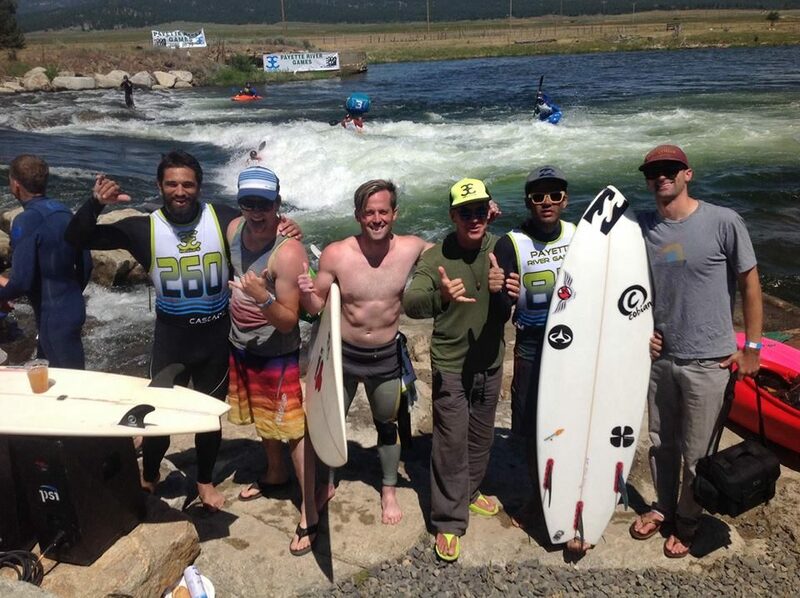 The Pickards hired Elijah Mack to organize the river surfing portion which was undoubtedly the reason for such a successful turn out of international travelers. 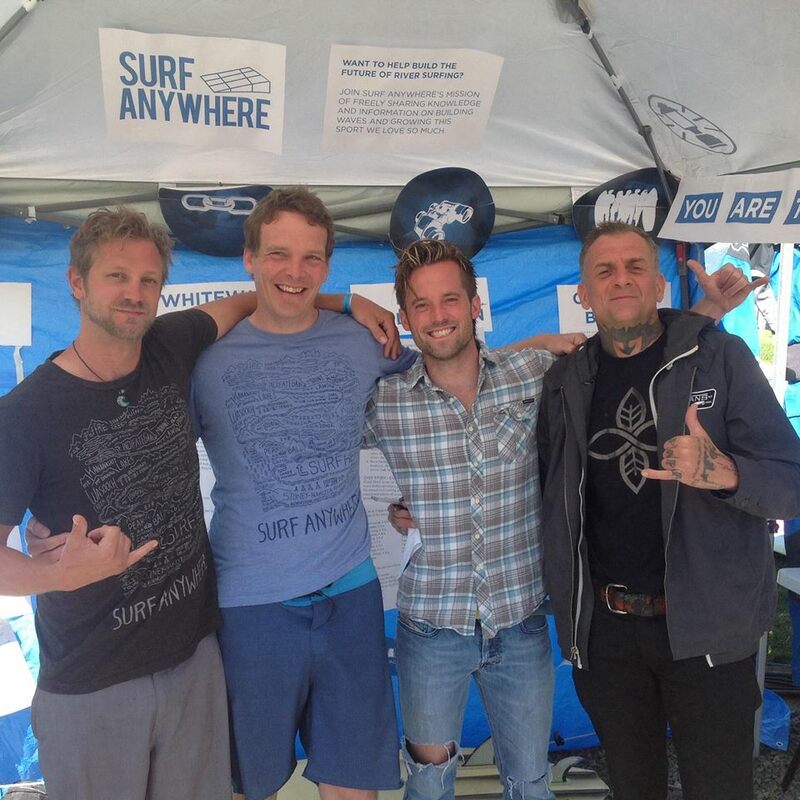 Surf Anywhere was invited to host an athlete’s lounge for the competing river surfers. 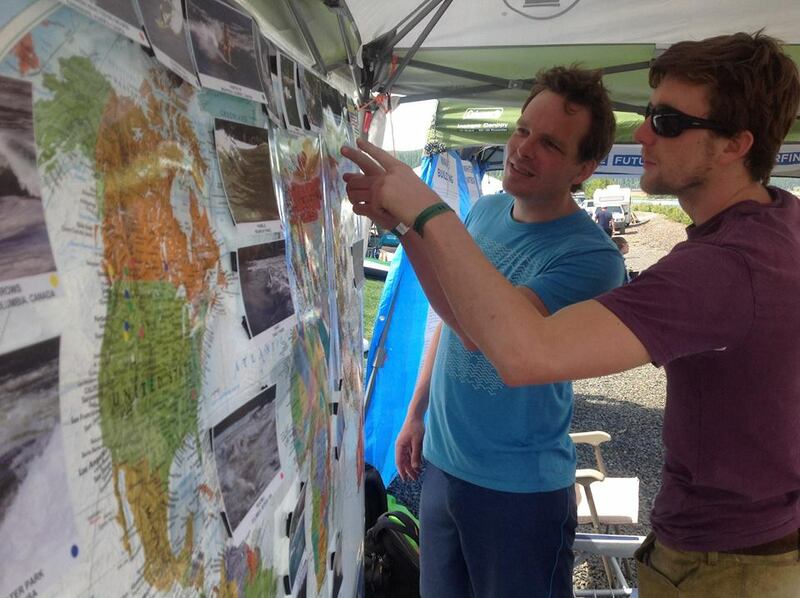 We had an interactive history on site, a world map with pinned river surfing locations, information on wave building as well as a cool spot for surfers to hang out and watch the event. Jacob Kelly Quinlan provided event coverage for Riverbreak Magazine. Quinlan also acted as correspondent with the event media team and competition judges under the guidance of river surfing coordinator Elijah Mack.